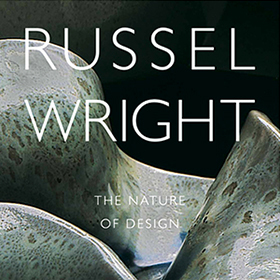 This book accompanied an exhibition of the same name, which explored the work and philosophy of Hudson River Valley resident and renowned industrial designer Russel Wright. The show and book focused on one of Wright’s most pervasive preoccupations, and one with much current relevance: the relationship of humankind with the natural world. While examining Wright’s entire career from the 1920s through the 1970s, the exhibition will focus on his work between 1945 and 1968, a less-scrutinized period when Wright increasingly designed in experimental and innovative ways. Designer: Office of Communications & Marketing/Design Services, State University of New York at New Paltz; Senior Designer Jeff Lesperance, based on an initial concept design by Randall Martin.